Golden Triangle & Kerala Tour. 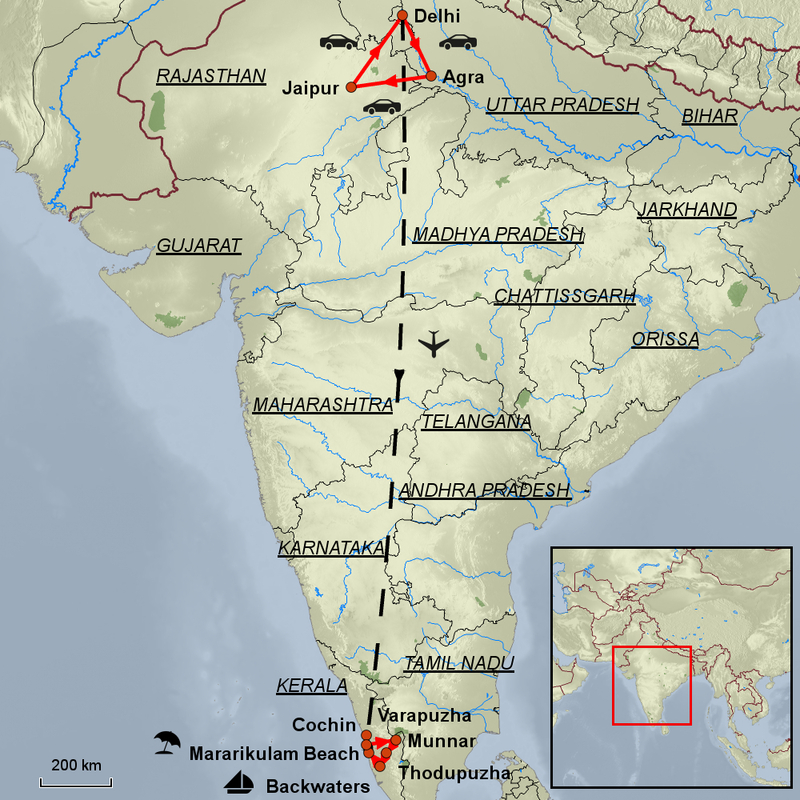 This is a journey takes you through some of India’s most extraordinary cultural and historical sites. Dubbed “The Golden Triangle” this journey will take you to tranquil holy places, through busy bazaars, and to architectural gems. We love it because it’s an 18-night classic introduction to the best of what India has to offer. To start off, you will fly into Delhi. After a VIP arrival, you’ll be introduced to India’s capital – a city firmly rooted in the past as it moves forward with the rest of the world. A full day here on a privately guided tour ensures you see everything on offer – including the famous Chandni Chowkh Bazaar. Often called the food capital of India, you can sample the street food and see for yourself. In Varapuzha you will stay with a local family at their wonderful home located right by one of the backwater canals. Time to relax and remember your experiences in North India before proceeding to explore Southern Kerala. Then to the tea plantation of Munnar where you will explore the town, Eravikulam National Park, and Mattupetty Lake. 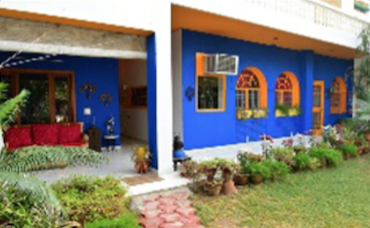 From here you’ll travel to Kodikulam where you will stay at Dewalokam a homestay farm where livestock and spices grow. Located on the edge of the river where you can relax, take a raft tour and also learn to cook local cuisine. Then to Kumarakom where you board your private luxury Kettuvallam Rice Barge Houseboat. Spend a few days cruising the backwaters watching life unfold on the banks as you float long, with time to disembark at various point to meet the locals and visit some of the famous churches. Your next destination is the Mararikulam to relax beachside before heading to Fort Cochin where you will take a private guided tour and visit the holy sites of St. Francis Church, the Jewish Synagogue, and the Dutch Palace, before bidding farewell to India until the next time. Full day sightseeing of Jaipur including Elephant/Jeep ride (subject to availability) in Amer Fort. AGRA: Known for its stunning architecture, exotic history and magical views, the Taj Mahal attracts as many as 7 million visitors each year, and for a good reason. It is, after all, the monument of love! This iconic landmark is why people from all over the world visit Agra, but the city is also brimming with UNESCO World Heritage Sites, Mughal mausoleums, tombs, a beautiful fort and ancient bazaars. You’d expect to feel underwhelmed due to all that hype, but this magical city is everything you expect it to be. FATEHPUR SIKRI: Fatehpur Sikri was the capital of the Mughal Empire for just 10 years, but it still presents a massive complex of temples, monuments, and mosques, which make it a historical delight, one of the greatest feats of Indian architecture. Built by Emperor Akbar in the 16th century, this UNESCO World Heritage Site is located at a distance of just 40 kms. from Agra. Popular attractions include the Diwan-I-Am (Hall of Public Audience), Diwan-Khana-I-Khaas (Hall of Private Audience), Turkish Sultana’s House and the Treasury. Fatehpur also hosts Jama Masjid, the largest mosque in India. ABANERI: Abaneri, a small ancient village in Rajasthan, is mostly known for a stunning step well, a novel 10th-century idea that transformed this village into an incredibly popular tourist landmark in the modern day. Popularly called Chand Baori, this huge step well has been fortified on all sides and was designed to act as a water reservoir for rainwater harvesting, used for ritual cleansing before visiting the adjoining temple and also for leisure purposes. With depths of 20 meters, 13 different levels and 3500 steps arranged in perfect symmetry, this is a fascinating work of art, the deepest and largest step well of India. The presence intricate and beautiful carvings all over the step well add to its stunning beauty, offering great insights into an ancient culture and their traditions. You’re probably wondering where you’ve seen that iconic image, so all you need to do is take a second look at scenes from the Best Exotic Marigold Hotel. JAIPUR: The Pink City, the largest city of Rajasthan, is an epitome of magnificence and vibrancy. This city was established in 1727 by Jai Singh II and is India’s first planned city. It is known as the Pink City because of the colour of the stone used exclusively in the walled city. The Pink City stands out as one of the most spectacular and vibrant destinations on the planet, its rich lineage, striking culture and beautiful architecture painting a vivid picture of Indian society. Missing out on The City Palace, Hawa Mahal, Jantar Mantar, Jaigarh or the Amber Fort is a big no-no, but make sure you reserve time for those chaotic bazaars and delicious cuisines. Jaipur is also known for its traditional handicrafts and unique souvenirs such as camel-leather slippers. The John Madden 2012 hit The Best Exotic Marigold Hotel (You can link this to your Best Marigold tour) stole our heart presenting India in an entirely new light, one that suddenly catapulted some of its more exotic destinations like Udaipur and Jaipur to instant stardom. VARAPUZHA: Varapuzha is a small residential area located north of Cochin City. 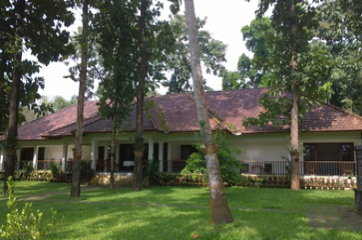 Home to one of our favourite homestays Teak House. The nearest town is North Paravur 8 km away. Its speciality is that considerably large-scale paddy cultivating area is situating western part of Varapuzha which is called Devaswompadam, specialised with Pokkali paddy cultivation and interim crop as fish cultivation locally called ‘Kettu’. The common work of the villagers is Fishing and Agriculture. MUNNAR: Welcome to Munnar. As the largest tea-growing region in South India, this beautiful hill station brings you closer to the fascinating world of Indian tea, but the presence of vast rolling hills, magnificent mountain scenery, gorgeous views and a pleasant culture make sure you’re never far away from the best of nature. Once a summer resort for the British Empire, Munnar now greets travellers with pollution-free air, romantic vistas, adventure activities, rich wildlife and an easy-going atmosphere. One of the key attractions of Munnar is the Eravikulam National Park, home to the endangered Nilgiri tahr. This is a fantastic place for trekking as the slopes are covered in a stunning shade of blue, thanks to an endemic plant found in this part of the world which blooms once every decade. Other things to see in Munnar include Mattupetty, Power House Waterfalls, Top Station, and Tea Museum. 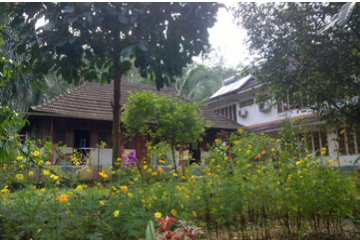 KODIKULAM: Kodikulam is the home of Dewalokam Farm Homestay, one for the best homestays in the south India and highly recommended by Mystic India. 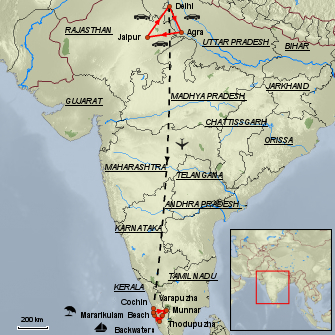 Dewalokam is about 12 kilometres east of Kodikulam, the nearest town. It is part of the agrarian countryside of Kerala. Rubber plantations are the main industry in this panchayat. BACKWATERS: Standing in your very own houseboat, watching the sun’s shimmering rays engulf a sea of green with their dying breath, waking up to the sound of chirping birds, serenading your loved one under a moon-lit sky and exploring idyllic old-world villages, the backwaters of Kerala are a true treat for the weariest of travellers. This maze of canals and lagoons stretches over 900 kms. That link five large lakes to each other. The waterways have traditionally been used to ferry spice and rice across the country, but are now becoming famous as one of the most romantic attractions that India has to offer. These extraordinary boats have, for hundreds of years, plied the backwaters weighed down with their cargoes of rice, fruit, coir and other crops. They have been the primary source of transport between the villages of this area that are not accessed by road. From your vantage point onboard, cruising the backwaters at your own pace, you will see loin-clothed fishermen delicately balancing on their narrow canoes, women weaving or gossiping on the shore and you will be constantly accompanied by the happy sounds of children either playing in the canals or at the water’s edge. MARARIKULAM: Located at a distance of 40 kms. from Kochi, Mararikulam is a hidden gem that attracts travellers with its stunning natural beauty, laid-back lifestyle and ancient traditions. The city is truly a hidden oasis, its beaches the best-kept secrets of modern India. It is also considered to offer the perfect backdrop for an exotic vacation that’s full of historical sights, coir factories, adventure activities, an old-world charm, swaying palms and plenty of sun and sand. COCHIN: Those Chinese fishing nets sitting along the harbour are a sight you simply cannot forget. Popularly called the gateway to God’s own country, Kochi manages to hold out on its own with its picturesque locals, leisurely activities, luxe accommodation and incredible homestays. The city is primarily divided into three major areas, modern-day Ernakulam and the historic districts of Fort Cochin, where all our client stay, then there is Mattancherry. Each area boasts fascinating architecture, spice markets, amazing food and interesting attractions. A beautiful Portuguese Palace, 17th-century Dutch homes, a synagogue and India’s first European Church ensure there is much to see and do in Kochi. The resulting mix presents a fascinating blend of a medieval English village full of Portuguese and Dutch architecture, a testimony to the sentiments that have drawn travellers and traders for more than 600 years to this beautiful port town. The best time to visit Kochi is between the months of October to April. We arrived home last week and thought we must send you a quick message to not only say thank you but to stay we had one of the most memorable holidays we have ever taken. This was our first time to India and like you said it is now under our skin and we shall surely return. Today, after breakfast, you will enjoy a full day private guided sightseeing tour of New & Old Delhi taking in all the major sights. This afternoon explore the famous Chandni Chowkh Bazaar. For lunch today, you can experience the famous street food here, in fact, Chandni Chowkh is often called the food capital of India. Drive to Agra (3.5 hrs) on arrival private guided sightseeing of the city concluding with a sunset visit to the famous Taj Mahal. Options of swapping your sunset visit to the Taj Mahal for a sunrise visit this morning. Later drive to Jaipur (5.5 hrs) with en route visit Fatehpur Sikri and Abhaneri Stepwell. Arrive Jaipur late afternoon then at leisure. In the morning, you visit the Amber Fort — one of the most fascinating of Indian forts. You will reach the fort majestically atop an elephant subject to availability or take a jeep to the top. Also, visit Jaigarh overlooking the fort and city. This afternoon you have the option to relax at your hotel or explore the famous bazaars. Optional extra experience; Spend the afternoon with elephants, enjoying the biggest but the gentlest animal in the world. Today you will explore the other attractions of Jaipur, visit City Palace, Janta Mantar observatory, Hawa Mahal is known as the Palace of Winds. Optional Extra: This evening you may like to enjoy a cooking demonstration and dinner with a local family. Please advise at the time of booking if this of interest to you so we can advise the supplement cost. Fly to Cochin, arriving this afternoon. On arrival, drive to Varapuzha and check-in at your hotel. Today you can maybe learn some home cooking from your host, or just relax by the pool on the edge of the backwaters before starting your explorations of southern Kerala. Drive to Munnar (04 hrs). Arrive Munnar and check-in at the hotel. Driver at your disposal if you wish to take some local drives. You can also visit a Tea Plantation Museum. The evening is at leisure. Rest of the day at leisure to relax at the hotel, with many local activities available. 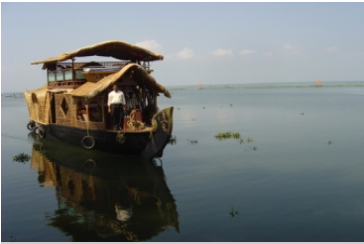 Drive to Kumarakom (3.5 Hrs) and board your private luxury Rice Barge houseboat. Spend the next two days exploring the backwater canals with opportunities to disembark and take in the local sights and meet villagers. Each day your onboard chef will discuss your meal requirements for the day. Continue your cruising today. Why not try some fishing for lunch and if you don’t catch anything you can always buy some from a local fisherman for a very small price. We love the experience of plying the backwaters, hear temple bells ringing, watch the children swim and local ladies washing clothes in the river. Just sit back and watch the local life take place as you float by. Disembark at Kumarakom then drive to Marari (1 Hr) Check-in at your hotel. A day at leisure to relax and enjoy your beachside location. Drive to Cochin (1.5 Hrs), on arrival check-in at your hotel. Rest of the day is at leisure to relax. Evening you will proceed to experience a Kathakali dance show. Fly to Mumbai on the early morning flight, on arrival meet and transfer to your hotel. This afternoon you are taken on a private guided tour of Mumbai city, depending on how much you want to see here is a list of the major sites. Today India bids you farewell with your transfer to the international terminal. Lovingly created by people who are frequent global travellers themselves and who take pride in maintaining the highest world-class standards of hospitality. Colonels Retreat. Location, facilities, services perfectly matched. The complete experience is matchless. Vandna & Gopal Singh take immense pleasure in having you at their Newly Opened bungalow style home stay The Coral Tree is situated in lush green surroundings,hardly a 6 minutes walk from the Taj Mahal. “The Coral Tree” is conveniently located on Taj VIP road with easy access to restaurants, shopping malls, Taj nature walk etc. 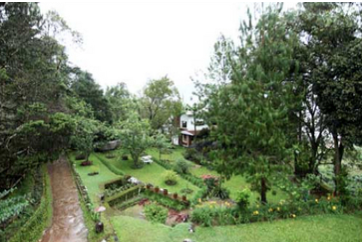 All four extra large rooms equipped with modern amenities and free Wifi access open to private leafy verandahs overlooking a very well kept garden. 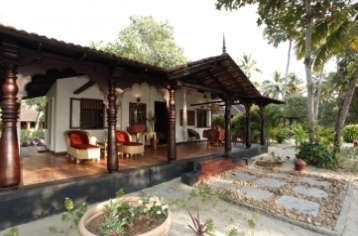 Teak House is a home-stay for the discerning traveller who looks for an authentic Kerala experience; for people who want to experience life in Kerala villages not from the cocooned comfort of a star hotel but right down from the heart of the village itself. Located a mere 40 minute drive away from the airport, amidst a stately stand of tall teak-wood trees on the banks of the Periyar, Teak House offers home-stay facilities par excellence in an ambience that is scenic and serene. Dewalokam is the ancestral farm of Alilakuzhy family an ancient Syrain Christian family of Kerala. We always want our guests to feel relaxed and happy. Our family will be delighted to show you the organic farm and tell you about the unusual trees and plants, many of which have medicinal uses. These extraordinary boats have, for hundreds of years, plied the backwaters weighed down with their cargoes of rice, fruit, coir and other crops. 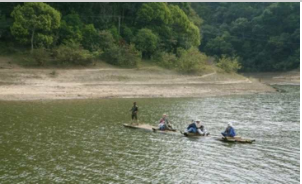 They have been the main source of transport between the villages of this area that are not accessed by road. From your vantage point on board, cruising the backwaters at your own pace, you will see loin-clothed fishermen delicately balancing on their narrow canoes, women weaving or gossiping on the shore and you will be constantly accompanied by the happy sounds of children either playing in the canals or at the water’s edge. A beach boutique stay with timeless typical Keralean cottages with large verandas and your own private relax garden. 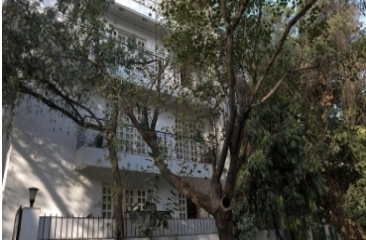 We have created a real homely feeling for you but with a lot of privacy as well. We won’t disturb you with any unwanted events like dance performances or any other forced activities as we know what real relaxing means. 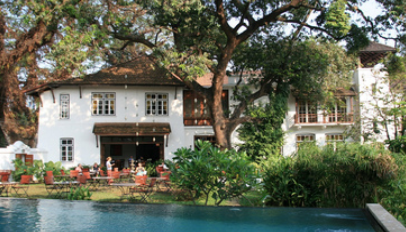 At the heart of ancient Fort Cochin, Kerala, a place that exudes history and culture, is the ‘Old Harbour Hotel’. A 300 year-old building that has for long been a heritage monument of this town, now reopened as a boutique hotel. After Day 12 – Travel to Thekkady & Periyar National Park. Thekkady is enchanting as the road winds through tranquil countryside, rich plantations & thick jungles. Travel the Golden Triangle in reverse, add on a unique heritage hotel. 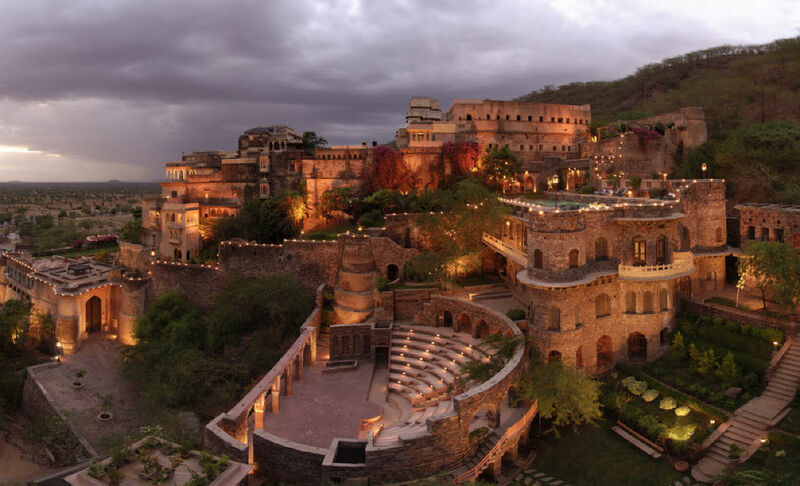 Neemrana Fort Palace is a wonderful heritage hotel, emerging out of the blue as a towering symbol of vitality in the heart of bareness. Stay an extra night in Agra and explore Mathura. 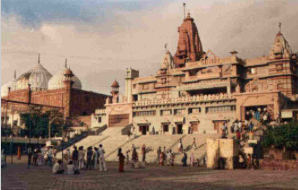 Mathura widely known as the birthplace of Lord Krishna is located on the western bank of river Yamuna. 58 Km North West of Agra. 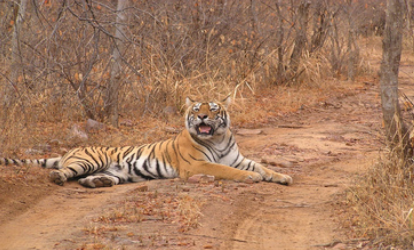 Between Agra & Jaipur add in Ranthambore National Park for tigers. Ranthambore National Park encompasses nearly 400 square kilometres of dry, deciduous forest in south western Rajasthan.